MORGANTOWN, W.V. 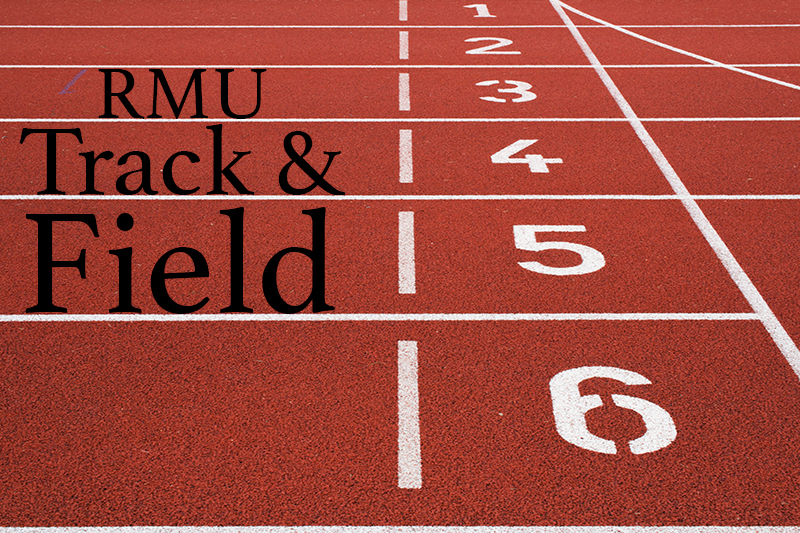 — After a successful winter track season, in which the Robert Morris track and field team finished tied for fifth at the NEC Championships, the team looks to start their outdoor season at the West Virginia Open on the campus of West Virginia University. In the indoor Northeast Conference Championships, Estelle Katende won the shot put, with a new personal and school record of 15.16m (49′ 9”), while Sam Buck won gold in the weight throw with a toss of 15.69m (51′ 5.75”). Freshman Zoe Roush finished third in long jump, with a leap of 5.66m (18′ 7”) and fifth in the triple jump, jumping 11.75m (38′ 6.75″). For outdoor records, Estelle Katende holds the team record in the shot put, throwing 14.58m (47’ 10”) at last year’s NEC Championships on May 5, 2018. Also in the championships last year, Katende won both the shot put (14.58m (47′ 10″)) and discus (45.83m (150′ 3″)). Another Colonial who holds top-10 performances during the outdoor season is senior Lilly Harnish. Harnish has the ninth (1.67m ((5′ 5.75″)) and tenth (1.65m (5′ 5.25″)) highest high jump, and the third (12.05m (39′ 6.5″)), sixth (11.91m (39′ 1″)) and tenth (11.85m (38′ 10.5″) longest triple jumps in school outdoor history. At last year’s NEC Championships, Harnish won the high jump with a leap of 1.67m (5′ 5.75″). In last year’s outdoor NEC Championships, the Colonials finished fourth with 120 points. This will be the first time that Robert Morris will take part in the West Virginia Open. The meet will take place on Saturday, March 23, and will last all-day.